Very nice compact walnut and brass display cabinet ideal for smaller items. It has two sliding doors at the rear which can be locked if required. Trays can be made if desired. 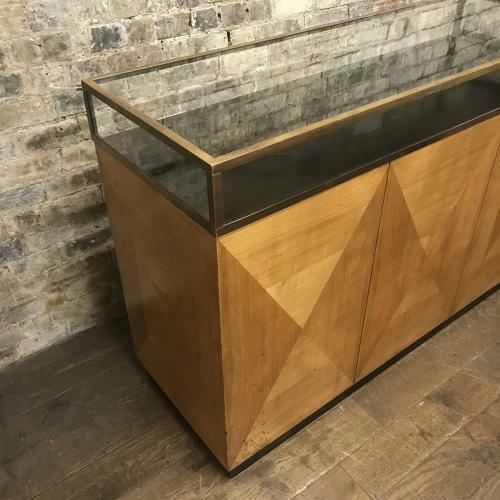 We believe this is a 1950s jewellery display counter, and it is in good usable condition, but the back needs shelving.